What's Your Word Card Game: Letter cards have many options for use, including spelling words, fill-in-the-blank, or sorting alphabetically. Instructions explain how to use the cards for both a higher and lower level of functioning. Celebrating America book with free audio ebook version: This book includes the lyrics of familiar patriotic songs we know and love, along with images of iconic American landmarks. Familiar songs can engage people at all stages of dementia, as brain pathways for music remain long into the disease process. The song lyrics, along with images of America, can also spark memories and conversation. When using the electronic version, you will be able to add the accompaniment of a piano playing the songs. 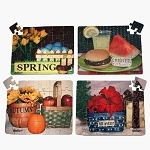 Choice of puzzle, from Baseball, Garden, Fishing: These 24 piece puzzles have larger pieces, that are easier to handle, and an image that is much simpler with bright colors that guide how the pieces will fit together. 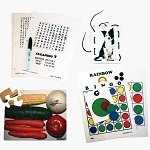 Carol Jackson, with the Ramsey County Minnesota library system, consulted with MindStart when creating their library kits. 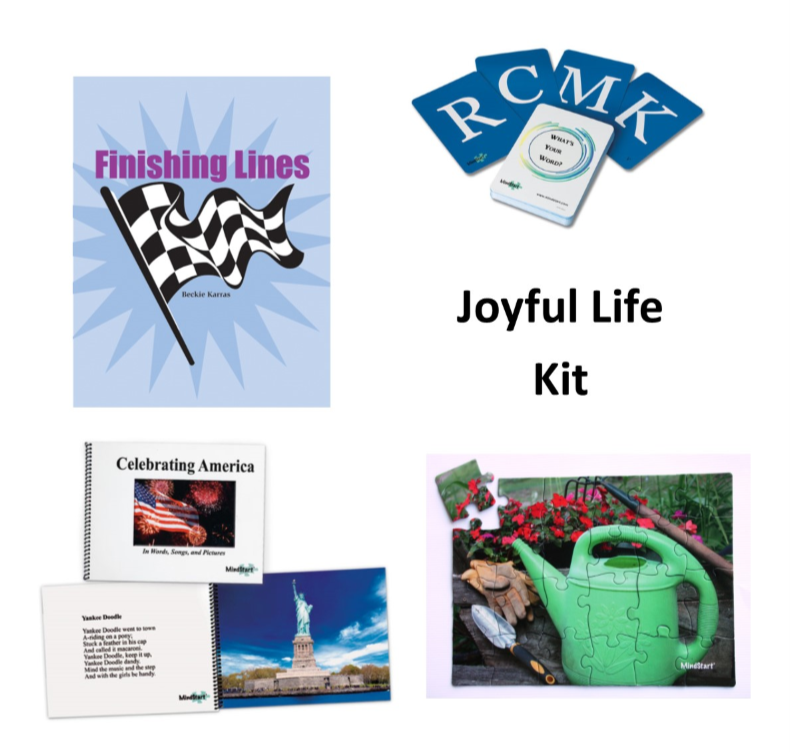 In partnership with local senior care facilites and organizations, the kits aimed to help patients with dementia and caregivers, living in their community. She shared, "You don't have the shared memories, you don't have traditional interactions. 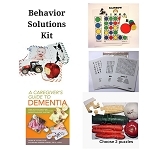 This gives you a way to have that interaction with someone you love who has dementia." The kits have been very well-received and are often out on loan. Read more about their kit program. 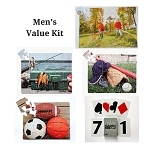 Shipping savings available for multiple kit orders. Send inquiries to monica@mind-start.com.